Owing to personal reasons within their team the league have agreed to allow LIGHTWATER VILLAGE 'B' side in Division Two to not play during the second half of the season. All of their intended opponent teams will be awarded the full 6 points. 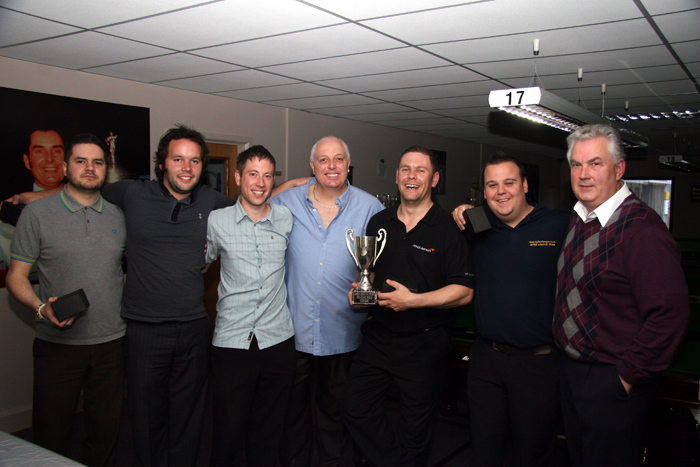 We hope that in future that their will be a second team from Lightwater in the snooker league. Also in Division Two. last night, take a bow KERRY O'KEEFE from Chertsey SS who made a superb break of 69. A mid season front runner to take the high break prize. On the adjoining table Chertsey 'A's mercurial LEWIS FRAMPTON secured his second frame with a 74 break to temporarily top the Premier Divisions break board, however the betting suggests that this won't last long. Make the most of it LEWIS. IAN ROSE takes top billing with his second century of the season, both in the competitions, this one being a magnificent 121 in his deciding frame in the Championship match against Matt Cooke. Last years runner up is putting his marker down early to go one better this season. Players involved in tournaments please arrange your matches quickly. The trend to wait until the last week or later takes no consideration of your opponents availability and with peoples lives being busy with work and family commitments it is not reasonable to expect matches to be played just when it suits one party. Make the effort early, get the matches arranged and alleviate the stress of cramming them all in at the last minute. A review of the first half of the season will be on the website soon. Enjoy your games and let me know of any achievements or things of note in all divisions. We want to know.